Almost everyone at APB knows about the LA Marathon SRLA students run annually. This year, the marathon took place on March 24th, and began at 6:30AM. But very few people are aware of what happens before the first runner steps foot on the pavement. 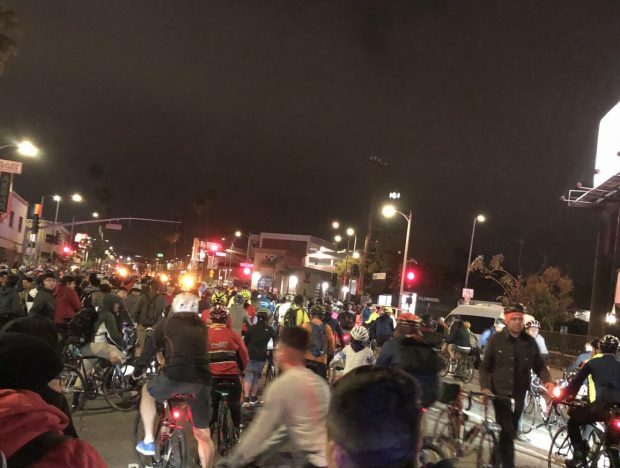 As early as 1AM, hundreds of people in Los Angeles wake up and get ready for what’s known as the LA Marathon Crash Ride. Small groups of cyclists meet at different locations scattered around the trail like the Staples Center and Echo Park. As the clock approaches 4AM, these smaller ‘feeder’ rides start moving towards the meetup spot; Tang’s Donuts on Sunset boulevard. The scene is incredible. A sea of cyclists floods the street as LAPD officers struggle to reach the front of the ride on their motorcycles. As the rest of the city sleeps, this small section of Los Angeles is alive with hundreds of flashing bicycle lights. And then, once everyone arrives and the clock strikes 4, the ride begins. Complete and utter pandemonium ensues. As people struggle to put on their helmets and find their friends, the LAPD motorcade starts leading the front of the ride down the trail, and onwards to the Santa Monica Pier. Eventually, after the slow start, everyone picks up speed, and the ride starts to take off. You look forward and you see bikes. You look back and you see bikes. Right and left are no different, and suddenly, you’re a part of something bigger than yourself; a machine made up by hundreds and hundreds of people with the same purpose and the same goal. The ride lasts just under two hours, with everyone converging at the coast, and at 5:45AM, the LAPD breaks up the ride, and orders people people to head home. 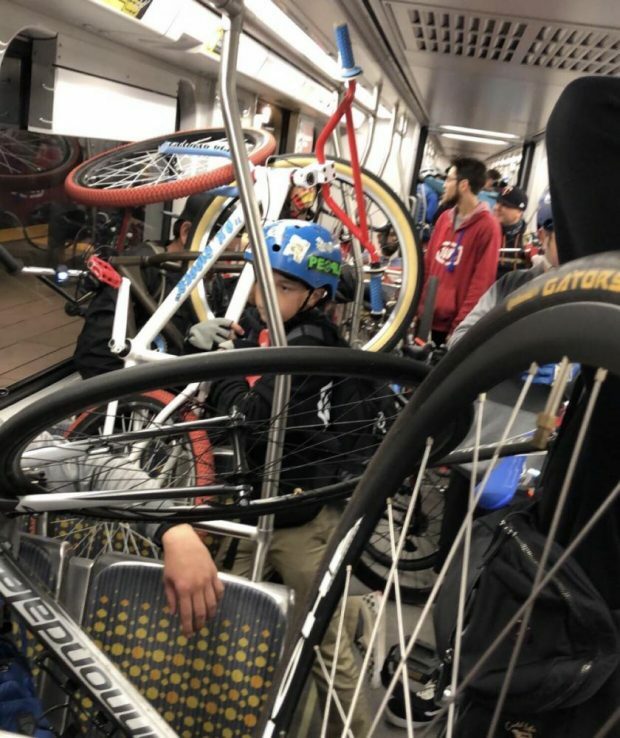 An unfathomable number of people crowd the Santa Monica Expo line station to load their bicycles into the train cars while dozens more stay on the platform to wait for the next trains. As people start making their way to their houses, the sun begins to rise, and it is now time for the runners to take their turn on the trail.